In our last newsletter, we introduced you to Marvin M, one of the members of the community. He kindly decided to send us few articles. The 1st one is about his favorite electrical topic. Check this out and give your impressions! The majority of traditional substation designs do not meet the long-term needs of heavy industries, growing population, and adherence to modern safety regulations. The present energy requirements, including upcoming residential areas and installation of new industries, require substations that are designed for efficiency and safety. Considering that the engineers and technicians are in constant contact with the high voltages present in the substations, there is a great need to invest in features, measures, and installations that promote safety, unplanned failures, and hazardous conditions. Proper configuration ensures that the installation meets the power demand with minimal failure and optimal safety for on-site employees. This requires proper knowledge of the expected load and the expected equipment efficiency. Large motors often lead to voltage drop issues when linked up with a weak system that is unable to handle the high starting load. This leads to tripping of relays, compliance issues, and possible danger to the workers on site. Smaller motors, on the other hand, often overheat due to large load demand. With the above in place, the engineers are able to analyze the different electrical technologies available and the effects on the final design. Explosions and system failure have resulted in employee injuries and death, especially in substations serving petrochemical and gas industries. The inherent danger is in the substation itself. Do note that the primary purpose of a substation is to step down the high voltage from the grid to medium voltage required for the plants. Engineers and technicians are usually in the highest levels dangers during the maintenance sessions and routine inspection. The more common dangers include electric socks, arc-flash incidents, and transformer explosions. Proper substation safety design and equipment significantly reduces the maintenance times, this reducing the time the engineers are in close contact with the substation equipment. In more successful scenarios, safety installations and design reduce the number of protective equipment (PE) required. This allows the engineers and technicians to work more efficiently. 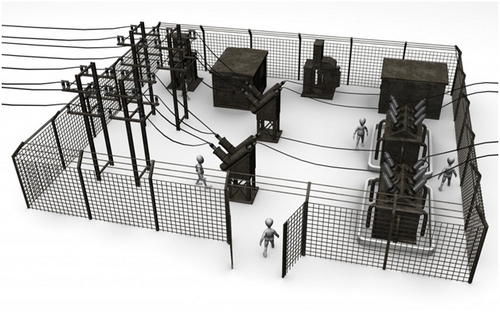 Remote monitoring provides one of the easiest and most effective ways to increase safety standards in substations. The engineers can perform more maintenance tasks without coming into contact with the substation equipment. 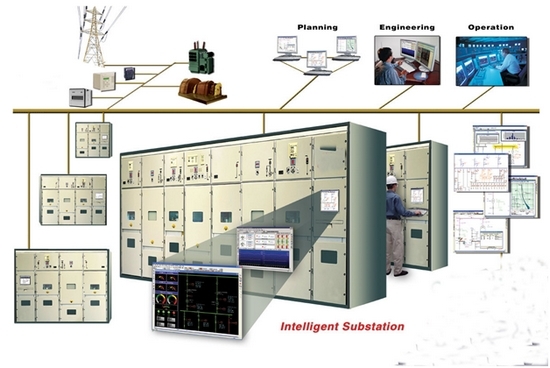 Inclusion of an integrated control system consolidates information about the load demand on one section, such as the plant, and the substation on the other. An integrated view of the two fundamental sections allows for easier monitoring and maintenance. Modern control systems also feature integrated automation capability to aggregate data, and provide intelligent solutions based on problem severity. For instance, an automated system, after detecting an arc-flash problem, designates it as severe. The forwarded actions include informing the plant power management engineers of the problem, as well as activating the substation safety mechanism to solve the issue. The expansion of the manufacturing industry, as well as the increase in the number of residential properties requires the installation of safe, reliable, and innovative substation designs. By following the above set guidelines, engineers can reduce the risks, accord safety compliance, meets the power needs for years to come, and meets crucial operational objectives. The creation of safe working environments, through proper substation configuration, safety design, and assured reliability attracts skilled engineers and technicians, who are often in short supply. or copy this trackback: http://engineering.electrical-equipment.org/safety/primary-principles-of-substation-efficiency-and-safety.html/trackback from your own site. Thanks for this great information. Safety working environment is really important not just for the worker’s and employees but also to their families whose been worrying all day thinking if their relative to come home safe from their workplace.